Exercise is the best form of pain relief, according to a new study . Over 30,000 participants participated in the research found in the Jama Network journal. The study suggests that exercise can relieve the discomfort of lower back pain with the proper exercise, nutrition and education. According to the study, lower back complaints reduced to 35 per cent where patients were performing a range of exercises. The figure increased to 45 per cent in patients who exercised previously. The latter group re-learned the correct way to lift heavy objects and to sit properly. The study suggests a reduced risk of sick leave occurrences. However, researchers are uncertain as to whether its effects could last for a year or longer. 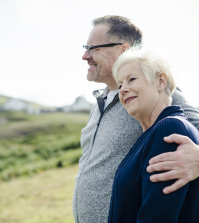 There was an increase in the recurrence rate, with approximately 50 per cent noticing an intermittence one year following recovery. It’s estimated that back pain affects up to 80% of people at one point or another in their lives. This is likely the result of poor posture, awkward bending and incorrect lifting of heavy objects. This particular investigation took exercise as a measure for back pain issues. 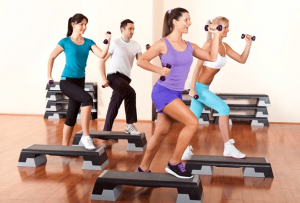 The study also showed that there are a number of benefits in various forms of exercise. These include a series of motion and strengthening exercises for the abs. In addition, yoga is also shown to be highly effective for providing pain relief in both men and women. This is due to the stretching and the strengthening combination it provides. Exercise is fantastic for providing a series of practical moves you can use to find relief for your back pain. However, it’s also possible to find relief for your pain with the right nutrients and supplements. One of these methods is by taking the naturally occurring enzyme known as serrapeptase. This enzyme derived from the silkworm intestine dissolves and then digests inflammation. It also gets rid of the non-living tissue that may be obstructing the body from carrying out its normal functions. Once the inflammation dissolves, the enzyme safely eliminates them via deposits in the bloodstream. 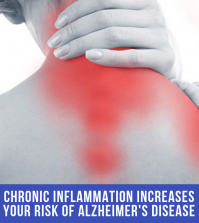 Once free from inflammation, the body can start working as normal. 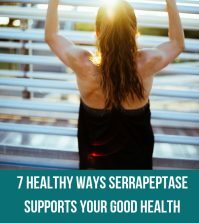 The recommended Serrapeptase supplement is Serra Enzyme 80,000IU from Good Health Naturally. One can take 2-3 capsules, 2-3 times a day for best results. El ejercicio es la mejor forma de aliviar el dolor, según un nuevo estudio. Más de 30,000 participantes formaron parte de la investigación encontrada en la revista Jama Network. El estudio sugiere que el ejercicio puede aliviar la incomodidad del dolor de espalda baja con el ejercicio adecuado, la nutrición y la educación.